With so many distractions that drivers and operators of motor vehicles are subjected to, and the number of vehicles on the road, it is fair to argue that pedestrians today are at more risk of being injured by a negligent or reckless driver than ever before. Distractions like cell phones, radio dials, and in car video screens can all take a driver’s attention off of the road and place anyone around the vehicle during the distraction at risk for an injury. If you been injured as a pedestrian, contact an experienced Las Vegas pedestrian accident attorney from The Fletcher Firm today. In terms of accidents, pedestrians are at a substantial risk of serious injury if they are struck by a negligent or reckless motor vehicle operator and may sustain injuries ranging from fractured/broken bones to serious head/brain injury. The seriousness of injuries sustained will usually depend on several factors, including the speed which the vehicle was traveling when it came in contact with the pedestrian, the terrain of the environment, and the victim’s frailty. When you walk on a sidewalk in Las Vegas, don’t text, read, or surf the internet. Keep the conversation short if you must talk on a cell phone. Keep your head up and your eyes alert. When you cross a street in Las Vegas, remember: look both ways and cross only at crosswalks. If you walk after dark, consider carrying a flashlight, and wear bright colors. Look out for parked cars and trucks – they can move suddenly. And if you’ve had several drinks, you might want to think twice about taking that walk. In fifteen percent of the accidents that involve a vehicle and a pedestrian, the pedestrian is intoxicated. However, accidents can happen to even the most careful of pedestrians. 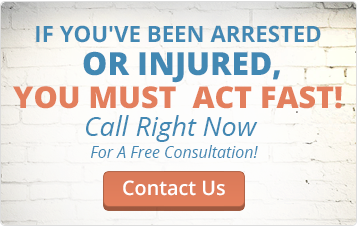 If you’re injured by another person’s negligence actions or behavior while you’re walking in the Las Vegas area, get medical treatment immediately, then discuss your case with an experienced Las Vegas personal injury attorney. If they are ever struck by a vehicle and sustain injuries determined by medical professionals to be “serious,” pedestrian victims of accidents have several rights when it comes to recovering damages for their injuries. For example, the law provides legal remedies designed to compensate the injury victim for his or her losses and damages through awards for pain and suffering, lost wages, and medical expenses. If the vehicle which strikes a pedestrian is owned by a private business and operated by an employee of the business at the time of an accident, then the law may even allow the injured victim to seek damages directly from the business, instead of seeking damages from the employee driving the vehicle. After a person has been struck by a vehicle, that person should immediately get medical attention and care before securing the advice of legal counsel. If an injury is diagnosed and determined to have been caused by the accident, then the victim may have a strong case for damages against the driver responsible for causing the injuries. However, under no circumstances should accident victims answer questions or make comments about the accident. These answers and comments may be used against the victim later by an insurance company attempting to reduce the amount of damages that it will have to pay to the injured victim. Contrary to popular belief, it is not illegal to refuse to answer questions from police or investigators following an accident. Instead of answering questions, accident victims should wait until they speak with an attorney about their rights and the legal process that they face. If answers or comments are going to be provided, they should only be provided through an attorney to help ensure the protection of the victim’s rights. To say the least, being the pedestrian victim of an auto accident creates a major burden in a person’s life. Not only does such an incident present several physical consequences, it also presents several legal ones. Even when a victim is at absolutely no fault, he or she will still be required to take personal time to deal with the issue, file the necessary paperwork, compile the necessary evidence, organize the necessary witnesses, and perform a host of other duties that most people are in no condition to perform after being struck by a vehicle. Instead of taking on such a heavy burden, letting an attorney handle the legal side of accident consequences can be a huge help to anyone who is recovering from such an injury. Just being able to refer calls from insurance representatives and investigators to legal counsel is a benefit that accident victims particularly enjoy about working with an attorney. This kind of recovery will depend on several legal factors and is subject to exceptions, which is why only experienced personal injury legal counsel should be retained by the victim to pursue the damages which the law says the victim is entitled to. The Las Vegas pedestrian accident attorney will be able to review an incident to determine the appropriate party to bring charges against, as well as an appropriate amount of damages to demand from the party deemed to be responsible for injuries. It may also be possible that the vehicle which strikes a pedestrian will be publicly owned by a government entity. Since the rules for pursuing damages from government entities are a little different than the rules for pursuing damages from private citizens, any person who sustains an injury by a public utility should partner with a Las Vegas pedestrian accident attorney. The Las Vegas pedestrian accident attorney will be familiar with the necessary rules which must be followed in order to allow the accident victim as smooth and un-frustrating a recovery experience as possible, and will be able to advise the accident victim on his or her rights in regards to the legal process from the beginning to the end of legal proceedings.